There are more good reasons for cycling in older age: cycling involves smooth, regular movement: it doesn't put big stresses and strains on your body. Cycling four miles daily reduces the risk of coronary heart disease by 50 per cent. It's good aerobic exercise, yet puts no load-bearing strain on joints or muscles â€“ good news if you are arthritic, a bit overweight or generally unfit. Cycling for half an hour regularly should help shed any extra pounds. 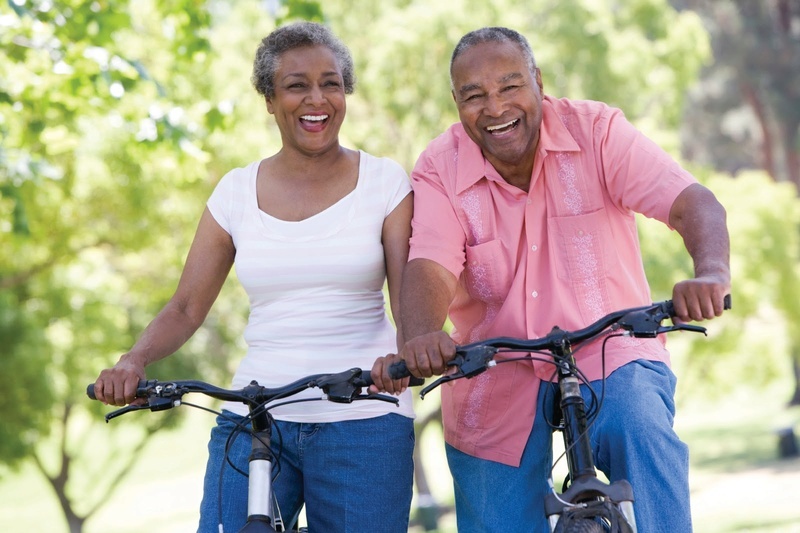 Regular cycling improves lung function: useful if you suffer from bronchitis or asthma. If you have not cycled since your younger days, you may not be aware of just how light and efficient modern bicycles can be. The wonderfully diverse range of cycle types means that there's a bike to suit everyone, whatever their age. With innovations and advances in technology, manufacturers continually strive to offer improvements in terms of comfort, reliability and ease of use. There are puncture proof tyres, exceptionally comfortable saddles, and chain guards and mudguards to keep you clean. Compared to your heavy old all-steel roadster, today's lightweight bikes are easy to lift and agile in hilly terrain. If you're buying a new bike, there are lots of models to choose from. Hybrids, road bikes and mountain bikes are most popular. A bike shop can advise you on the correct frame size and help you select a bike to suit your budget and the type of cycling you want to do. There are many bikes available for people with disabilities. The two main providers of specialist bikes are Wheels for All and CTC.